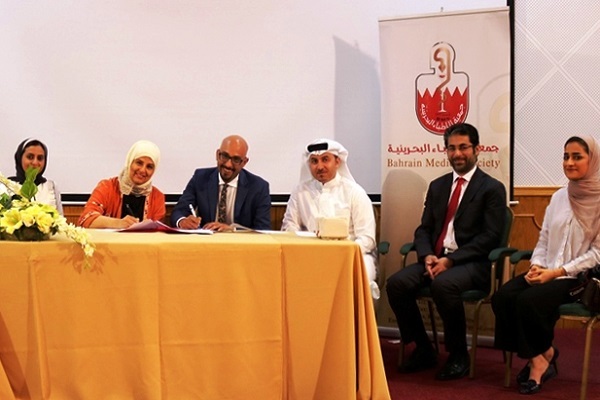 Bahrain Medical Association (BMA) has signed a co-operation agreement with Cura, an open source 3D printer slicing application company, to launch an application that will facilitate communication between doctors and patients. The smart devices named Cura will offer patients the possibility to seek medical advice by their smart devices to find out the best procedures and the best doctor to go to, said a statement from BMA. This application will be limited to BMA’s doctors, who are licensed by national health regulatory authority. The agreement comes within the framework of the BMA's strategy to promote the advancement of the doctor in the kingdom and encourage initiatives aimed at serving the Bahraini doctor and the patient, said Dr Ghada Al Qasim, the president of the association after signing the deal with Cura CEO Dr Mohammad Al Qassab. The Cura application will be available for download from “App Store” and "Google Play" early next year. "It will provides a link between patients and doctors in an innovative and effective way, while expanding the scope of its services in the future in order to reach a full market of medical services and consultations," remarked Dr Al Qasab.